Smoked salmon is to Vancouver as chowder is to Boston. Growing up in Vancouver, I ate my fair share of the smoky, salt fish. In fact, we kicked off Christmas dinner this year at my parents’ house with a small green salad topped with smoked salmon, tomatoes and my grandmother’s special dressing. And typically it’s just not the same unless there’s a generous pile of capers nearby. As much as I enjoy smoked salmon and capers on crackers, with a smear of cream cheese, I wanted something a little healthier for New Year’s Eve. When you’re diving into cheese and meat fondues, as is the tradition in our house on December 31st, you need to fit a dose of “healthy” in somewhere. The caper yogurt may sound fancy, but it’s as easy as chopping some capers and fresh dill, and stirring them into some plain nonfat Greek yogurt. If you like to watch the calorie count as I do, you’ll be happy to know that two of these appetizers total only 20 calories. Yes, you read that right. 2-0 calories. The components can be prepared ahead of time, then assembled just before the New Year’s Eve revelers arrive. 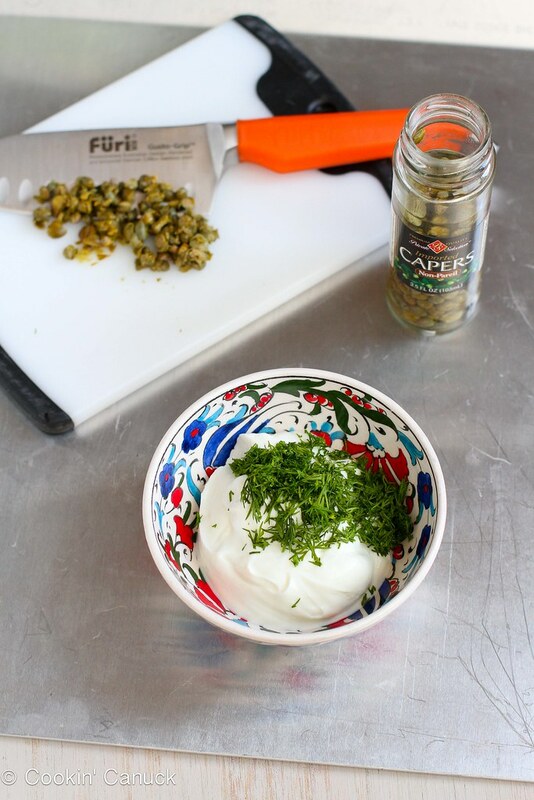 In a small bowl, stir together the Greek yogurt, capers and chopped dill. Place 1 teaspoon of yogurt sauce onto each cucumber slice. 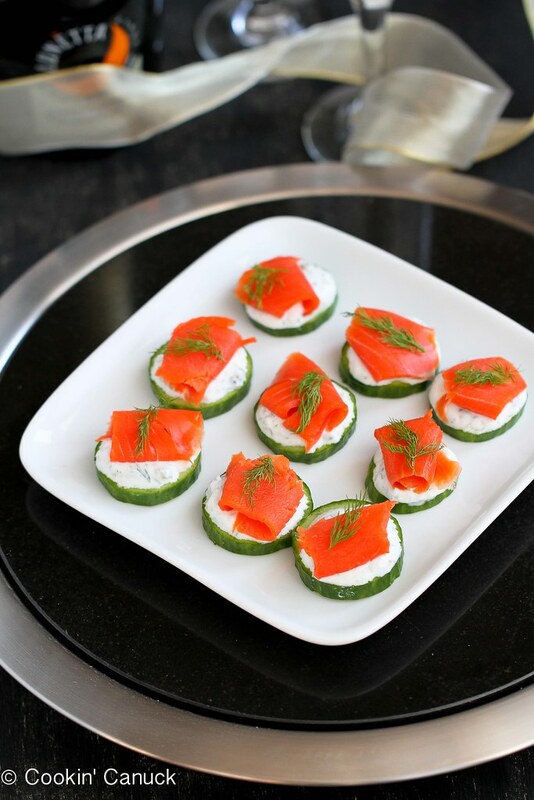 Top each with a piece of smoked salmon and a small sprig of dill. Serve. Place 1 teaspoon of yogurt sauce onto each cucumber slice. 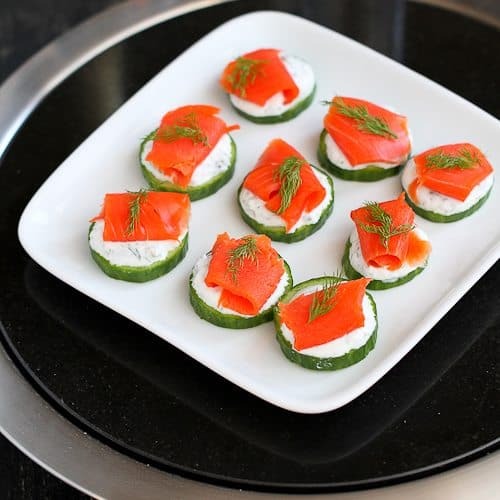 Top each with a piece of smoked salmon and a small sprig of dill. Serve. Love that we both shared fish on a cucumber today! 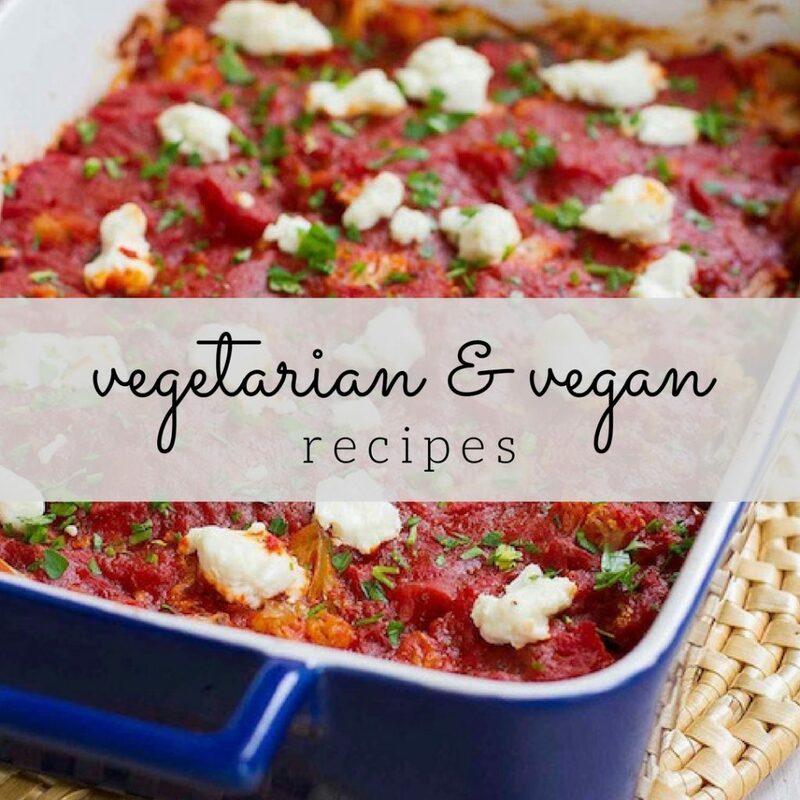 Perfect and healthy for NYE. The combination of salmon, capers and dill is so delish! 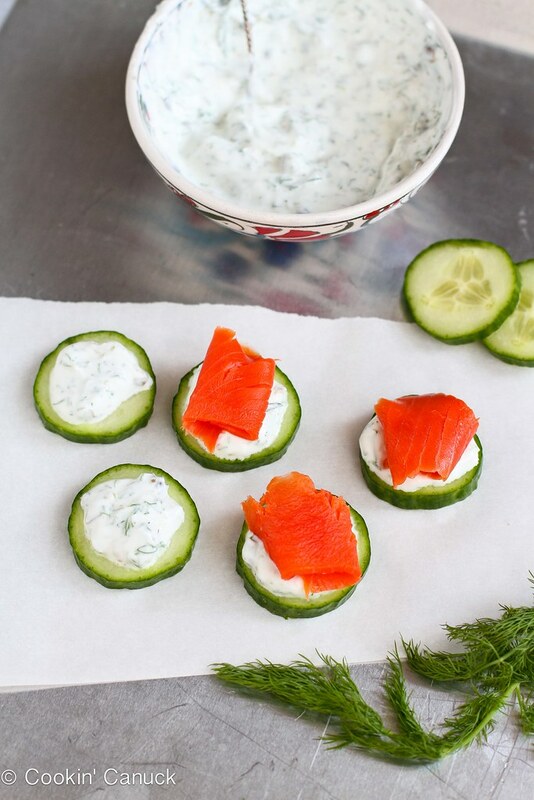 Love the idea of cucumbers instead of crackers to keep it low calorie..pinned! Smoked salmon makes me giddy. 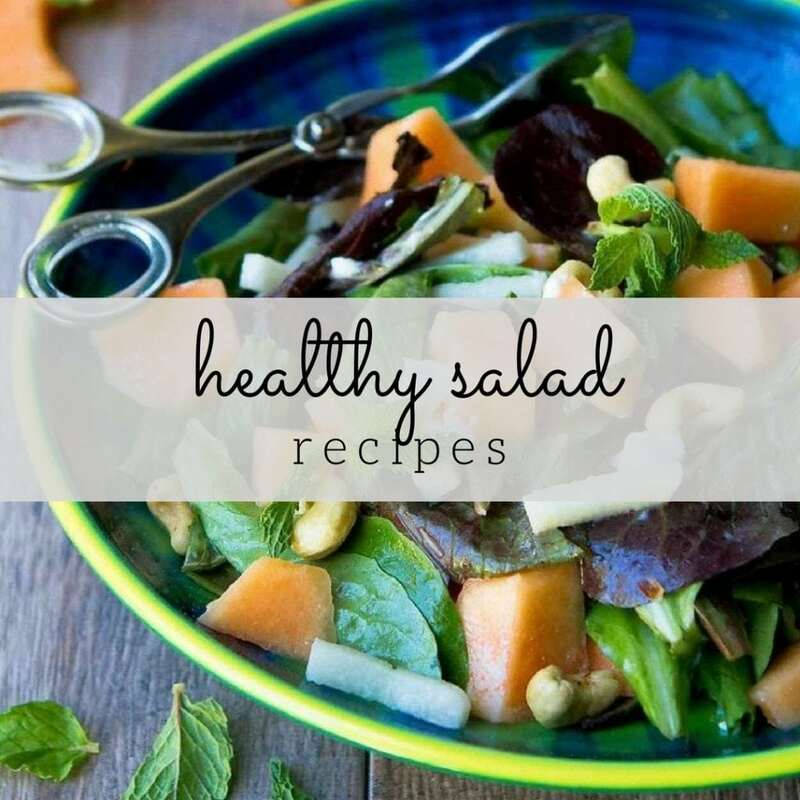 I love that you put this together on cucumber instead for a healthier appetizer. The flavor combination sounds amazing. These would be perfect for a New Year’s Eve party. 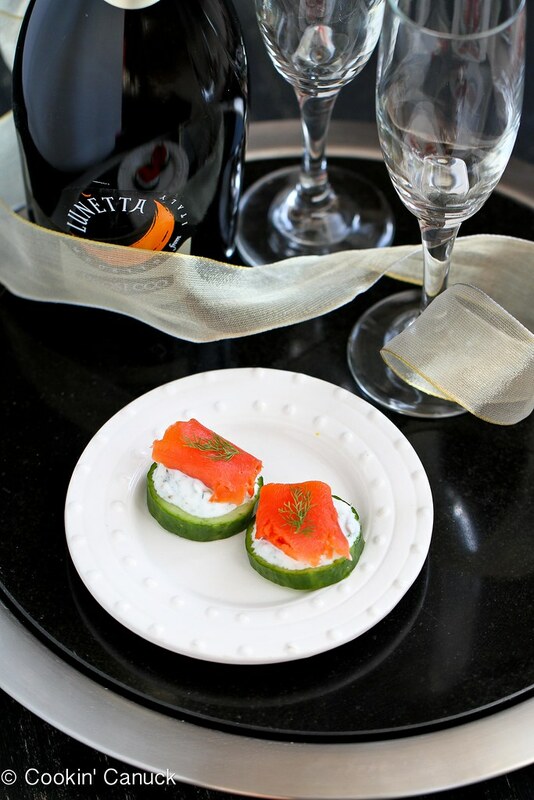 What a simple elegant appetizer! Love the flavors! Must try this recipe. 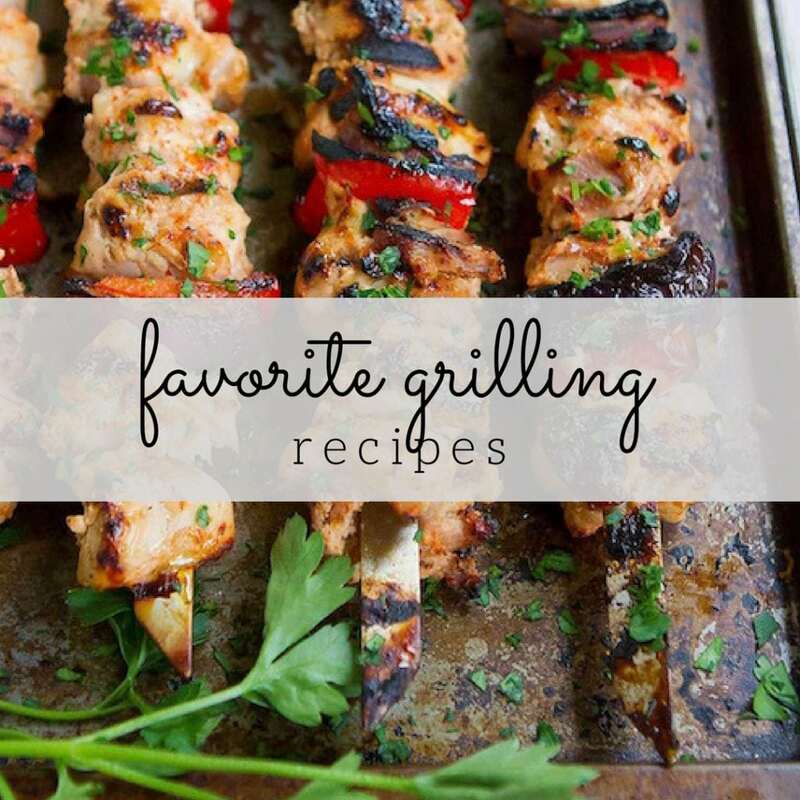 So easy and looks delish and elegant. Mmm I love smoked salmon! And I love how this is a fresh, healthy take on the regular lox with cream cheese. Oooh, I know I’d totally fall in love with these!! Oh yum, what a fantastic and simple app 🙂 I love it! This is a combination that was meant to be! And so pretty, too. I’m reading this a bit too late for New Years, but I’ll be trying this out soon, on some dinner guests I’m expecting next week. Don’t know what you meant in the last part of your second sentence and also the last part of the last sentence. Can you explain? Hi Janet, I’m not sure about which part you’re referring to? Do you mean in the recipe in the recipe box or in the actual post? If you tell me which sentences you mean, I’d be happy to clarify.